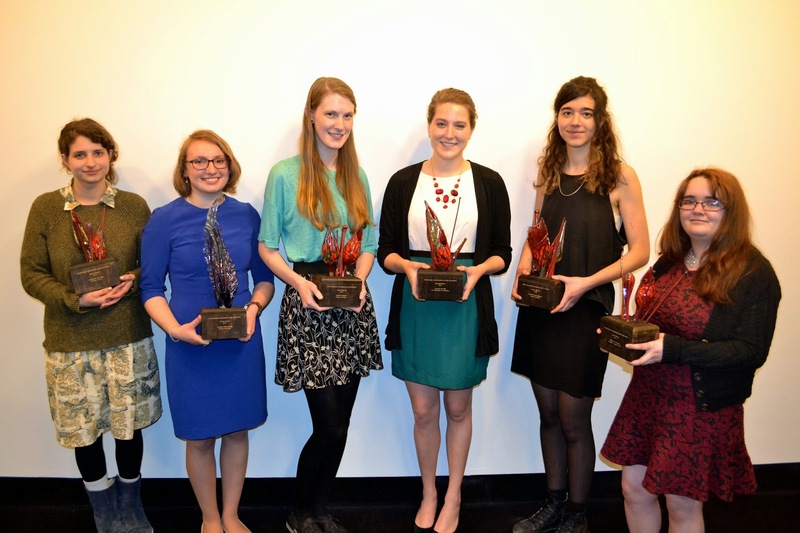 Last night, AICUO celebrated the student winners of the 2015 Award for Excellence in the Visual Art (EVAs) competition at a reception and exhibit at the Columbus College of Art and Design. Lauren Olivia King, a senior from Xavier University, took home the Grand Award and Kenyon College artists Audrey Nation received the People's Choice Award. Thank you to our sponsors for their support of this event and a big thank you to all who participated in the program this year. Labels: CCAD, Cleveland Institute of Art, Kenyon, Oberlin College, Xavier Univ.